The little Juul is at the center of a big debate about public health. The Juul fits easily in the palm of your hand. You don’t light it, you trigger it with a click of a finger. The mist that is exhaled is so fine it’s hard to see. 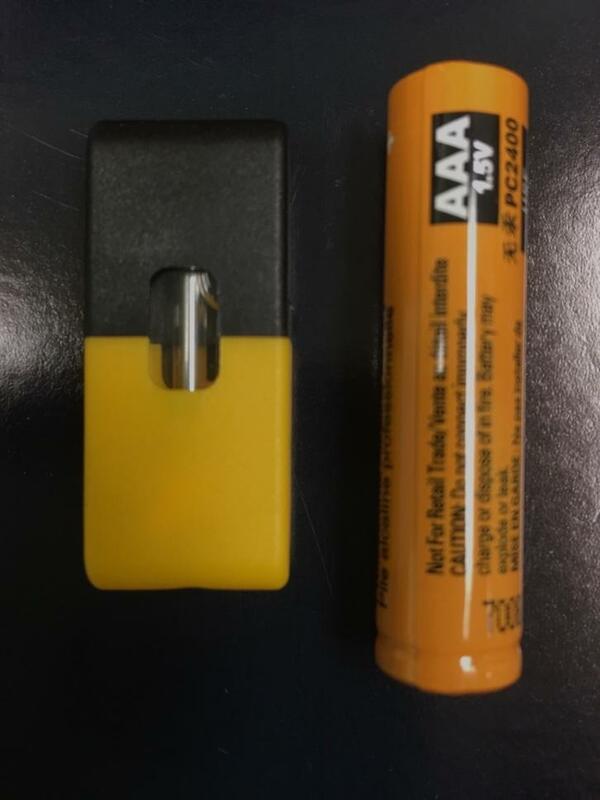 The nicotine is delivered via a pod the size of a AAA battery, with each pod containing the equivalent of 20 cigarettes. That combination of small size and potent power makes the Juul the vaping device of choice for many teen users. 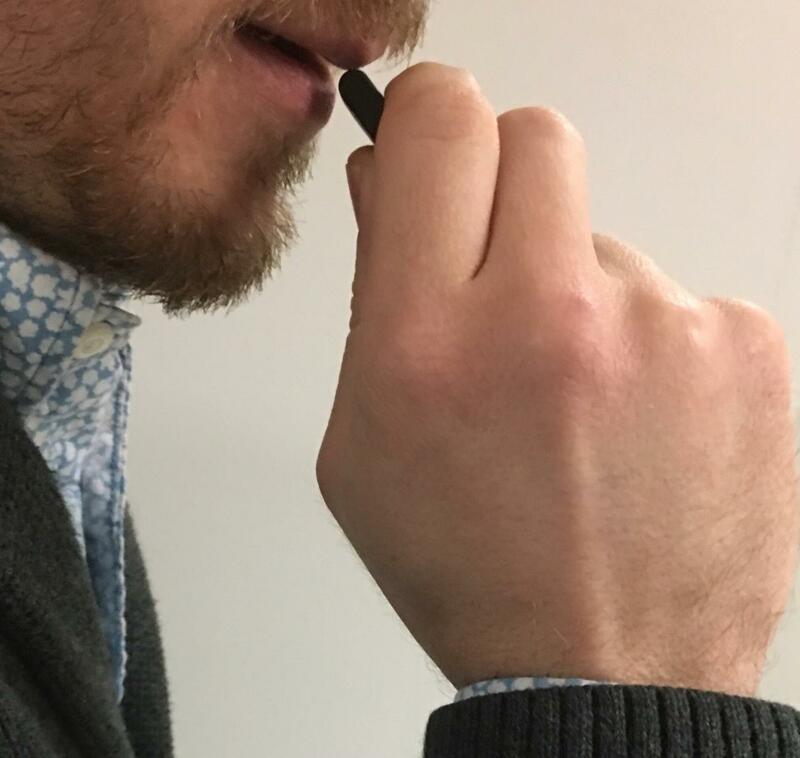 A group of students from Casey County, Kentucky, affirms those features make “Juul-ing” – yes it has become a verb – rampant in class. “Yes, oh yes,” they all nod in agreement. 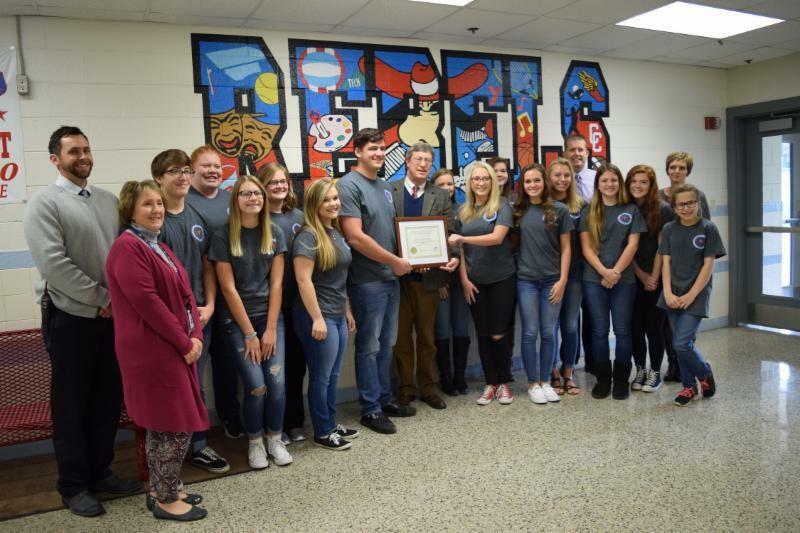 The group has been honored by the Foundation for a Health Kentucky for work to reduce tobacco use in the middle and high school. They’ve made progress through community polls and education campaigns. But they said Juul’s portability and ease of use creates a whole new set of problems. Casey County student Hannah McQuery is part that anti-smoking group. 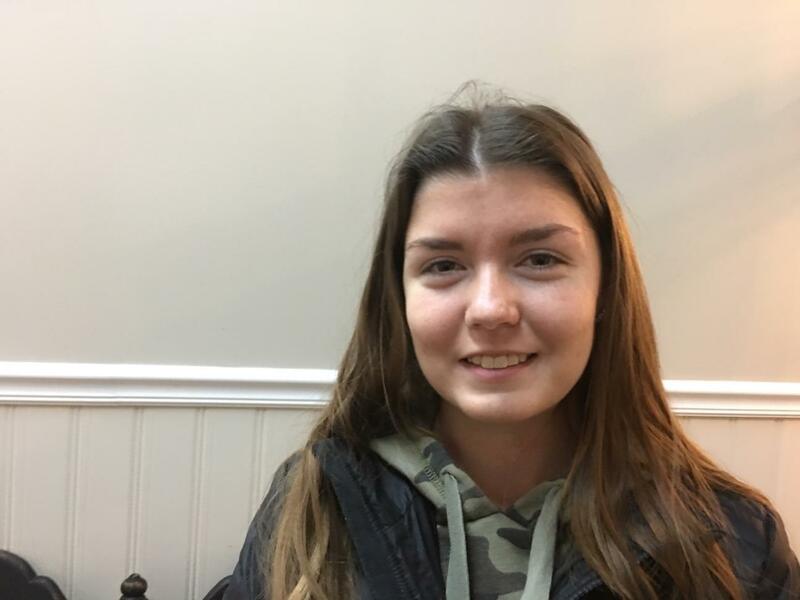 She said she was surprised when a classmate started puffing quietly into the sleeve of his hoodie during Social Studies. 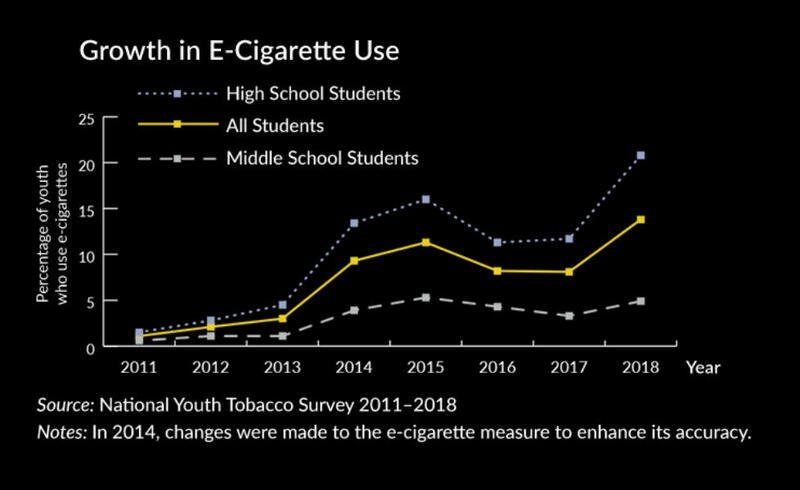 The Surgeon General has declared teen vaping a health epidemic and the Juul already dominates the teen market. Now, a merger between Juul and tobacco giant Altria has raised concerns among health advocates, setting the stage for a battle with Big Tobacco over that small device. According to the Centers for Disease Control and Prevention teen vape use is exploding. There was a 78 percent increase between 2016 and 2017. It is a compounding health risk in states like Kentucky, West Virginia, and Ohio where tobacco use is already high. The CDC says about 14 percent of teens across the country use e-cigarettes, which can be harder to detect. Juul makes up about 70 percent of e-cigs used by teens. Legally, no one under 18 in the Ohio Valley should have an electronic cigarette. Penalties among the states range from having the device confiscated to a $100 fine. But local health officials said that isn’t a deterrent for teens. Even though her mother is a health educator, Catie admits to trying vaping herself. She liked the slight buzz and the mango and watermelon flavors. She said she didn’t realize there was nicotine in the product. Now she is the one telling her friends to put the Juul down. “Everybody is doing it,” Shelbyville, KY, student Catie Kelly says of vaping. She said her school’s parking lot is littered with empty pods. Kelly said that there is a black market for Juuls where teens over 18 buy in bulk and resell at a mark- up. According to the Juul website, a starter kit including the vaping device, a charger and four pods sells for $49.99. 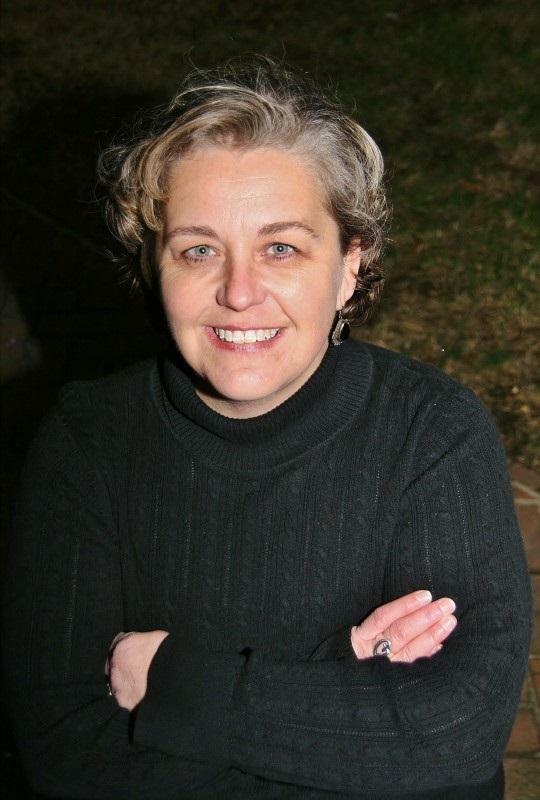 Angela Brumley-Shelton is tobacco coordinator for the Lexington-Fayette County Health Department in central Kentucky. She said many kids and parents consider e-cigarettes harmless. Most don’t think they contain nicotine at all. She said that is a dangerous assumption. She said that the impact on brain development can lead some people to use other addictive substances such as cocaine or methamphetamine. It can also lead to the use of traditional tobacco products which contributes to a host of health issues like heart disease and diabetes. Angela Brumley-Shelton of the Lexington-Fayette Co. Health Dept. Credit Lexington-Fayette Co. Health Dept. She said some parents even provide a Juul to their children as a reward for good behavior. As the culture as a whole has drifted away from smoking fewer teens took up tobacco products. But, she said, now students are vaping because they say it helps them concentrate on homework or do better on tests. And that is a problem, she said. Nicotine is highly addictive. And, she said, the methods used to help people traditional cigarettes don’t seem to work on e-cig users. The research on the subject hasn’t determined why that is the case, she said. Brumley-Shelton said she has had people who have been addicted to heroin say quitting nicotine is harder. Casey County student Delaney Sowders said she has seen as many as five teens vaping at the same time in a single class. She is president of the high school anti-smoking group which worked hard to stem the smoking of tobacco in school bathrooms. And it worked. But she said as Juul users discover how much it costs to continue to use the pricey pods they are taking up the old-fashioned combustible cigarette again. The anti-smoking group is taking a community poll to help create a new strategy. But just as health advocates look for ways to keep kids from vaping, they could be facing a huge new challenge. Altria, a giant in the tobacco market, recently purchased 35 percent of Juul. That partnership brings convenient placement of products and big money for advertising and political lobbying. Kentucky Youth Advocates Director Terry Brooks said tobacco ad spending has already helped e-cigarette use skyrocket. A former educator, Brooks said he was skeptical when he first heard that kids were vaping in the classroom. He asked his own family focus group for a fact check. His grandchildren confirmed it was true. Many of those young users, he said, were first enticed through advertising on the internet. “Nationally when advertising goes from $3.6 million in 2010 to over $125 million in 2014, those dollars are being well spent,” he said. Brooks said there is wide support for restricting youth access to e-cigs. Democratic and Republican legislators agree that there should be restrictions. And, he said, the Surgeon General pointedly did not include adult vaping in his recent warning about e-cigarettes to limit any backlash from pro-smoking advocates. Many key decisions will be made by state legislators and local governments to determine smoke-free zones in their communities. But he said health advocates are ready to take on the tobacco lobbyists who will certainly come in from other states. Brooks said the underdogs of public health have learned from earlier tangles with Big Tobacco. Nearly 30 percent of Americans smoked in the late 70s. Public pressure has changed that. In the 90s, health advocates pushed back against marketing that targeted youth, such as Joe Camel to hawk Camel cigarettes. Joe Camel was retired after 10 years in 1997. Brooks said youth vaping is shaping up as the next skirmish in the long fight against tobacco. Juul officials, under pressure following the Surgeon General’s declaration, have created a multi-million advertising campaign focusing on adult smokers who are using vaping to give up traditional cigarettes. In a video statement, Juul CEO Kevin Burns said the company is not targeting kids with its flavor pods such as mango and mint. 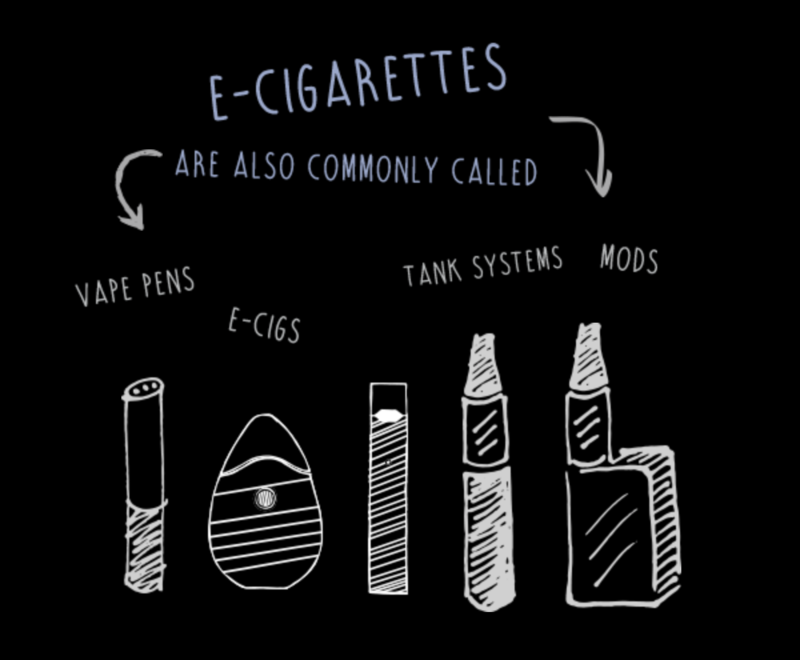 Pods about the size of a AAA battery contain the nicotine equivalent of a pack of cigarettes. Brooks isn’t the only one with doubts. It’s been reported that Food and Drug Administration officials are concerned that the Altria merger is a way to work around industry pledges to restrict access to young users. Brooks said that by enticing younger users companies are trying to create customers who will use their product for life. Hundreds of kids scurrying to buses are oblivious to a sign above them declaring Bourbon County High School “100 percent Tobacco Free.” But upstairs in the library, sophomore and anti-smoking advocate Jacob Steward unfurls a six-foot scroll with earth-toned papers trapped between clear sheets of laminate. He begins reading the anti-smoking slogans he’ll post around the school. While youth cigarette smoking has steadily declined in Kentucky, health advocates are sounding the alarm on next generation tobacco. According to the Centers for Disease Control and Prevention, vaping among high school students nationwide has increased 78 percent in the past year alone, putting a new generation at risk of nicotine addiction. The leader of a health advocacy group says Kentucky isn’t investing enough in the prevention of cancer. Ben Chandler, President and CEO of the Foundation for a Healthy Kentucky, says many of the state’s cancer cases are related to smoking. In a speech to the Bowling Green Noon Rotary Club on Wednesday, Chandler said the state isn’t doing enough to curb the habit. The Foundation wants a higher tax on cigarettes. While the General Assembly raised the tax this year by 50 cents, Chandler says that’s not enough to make people kick the habit. A survey produced by the National Institute on Drug Abuse found a rare bit of good news about the opioid crisis: fewer teenagers reported using opioids outside of medical purposes. The Monitoring the Future Survey 2017 results show a continued trend in decreased misuse of opioids by teens that dates to the early 2000s. Hear Nicole's story about how animal rights advocates say the Ohio Valley’s varying laws on the treatment of animals can make it more difficult to identify those who abuse them.